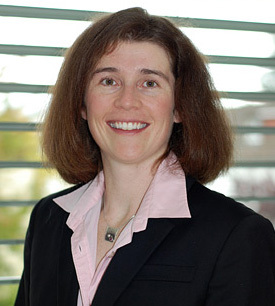 Hilary Bart-Smith joined the University of Virginia faculty in the fall of 2002. She received her B.Eng. degree in Mechanical Engineering from the University of Glasgow, Glasgow, Scotland and her S.M. and Ph.D. in Engineering Sciences from Harvard University. Dr. Bart-Smith came to UVA from Princeton University, where she was a post-doctoral Research Associate at the Princeton Materials Institute. Since joining the Mechanical and Aerospace Engineering faculty at the University of Virginia in 2002, Bart-Smith has founded the Multifunctional Materials and Structures Laboratory (MMS Lab) and the Bio-inspired Engineering Research Laboratory (BIER Lab), and generated over $10M of research funding. Associate Professor Mechanical & Aerospace Engineering, University of Virginia, 2007-present. Assistant Professor, Mechanical & Aerospace Engineering, University of Virginia, 2002-2007. Post Doctoral Fellow, Princeton Materials Institute, Princeton University, 2000-2002. Member of organizing committee for the National Academy of Engineering 2010 Indo-American Frontiers of Engineering Symposium. Panel reviewer for: NSF Course, Curriculum, and Laboratory Improvement (CCLI) Program and Department-Level Reform Program. MAE 200L Mechanics Familiarity Lab: a second-year undergraduate lab to introduce students to basic materials, instruments, tools. MAE 231 Mechanics of Materials: this second year course serves as the introduction to fundamental mechanics concepts for undergraduates in Mechanical, Aerospace and Civil Engineering, and covers stress, strain, energy concepts, etc. MAE 331 Aerospace Structures: third year course that introduces students to advanced topics in strength of materials and stress analysis, with specific reference to the types of structures found in aerospace applications. MAE 491/492: a senior design course that teaches undergraduate students the design process by actually engaging in design activity that results in useful and novel products. Specifically, students were tasked with designing instructional materials for introducing engineering concepts and the engineering design process to middle school students. AM/APMA/CE/MAE 602 Continuum Mechanics: a first-year graduate course that introduces students to the concept of continuum mechanics.